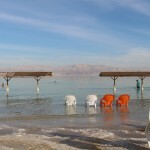 The Dead Sea is so awesome – unfortunately it is shrinking as time goes by. 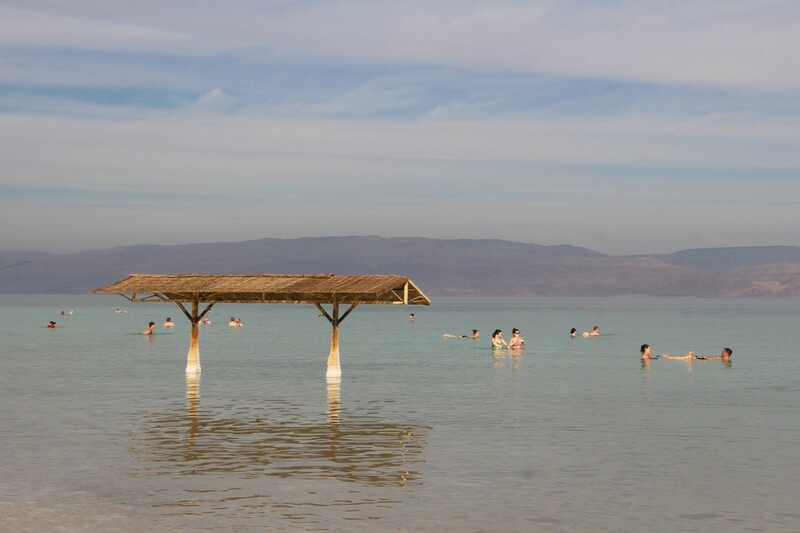 There are several low points in the Earth, and the Dead Sea is probably one of the most accessible. 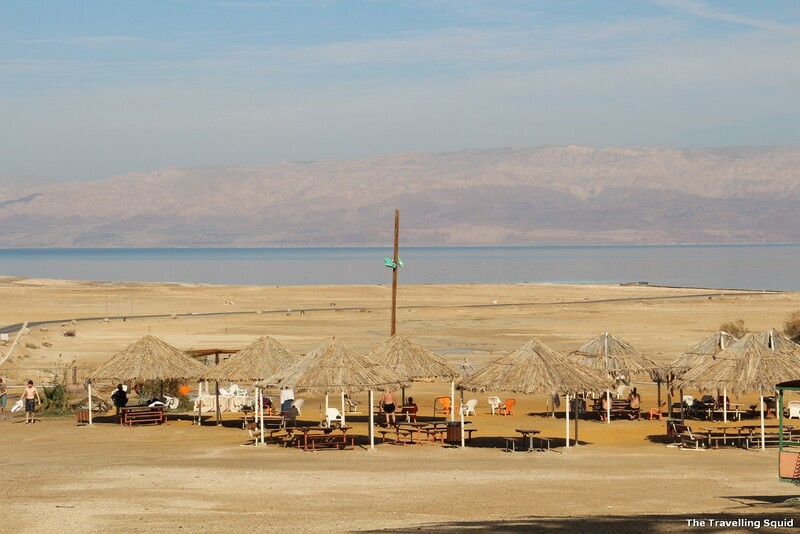 According to Universe Today, the lowest point on land is the Dead Sea that borders Israel, the West Bank and Jordan. It’s 420 meters below sea level. The Dead Sea sits on top of the Dead Sea Rift, a tectonic fault line between the Arabian and the African plates. The movement of these plates causes the Dead Sea to sink about one meter per year! The Dead Sea used to be connected to the Mediterranean Ocean, but over a geologic time scale, it became cut off and evaporation concentrated the salt in the water so that today, the Dead Sea is 30 to 31 percent mineral salts. It has the highest level of salinity of any body of water in the world. It’s not a beach, but the dried sea bed from the dead sea. 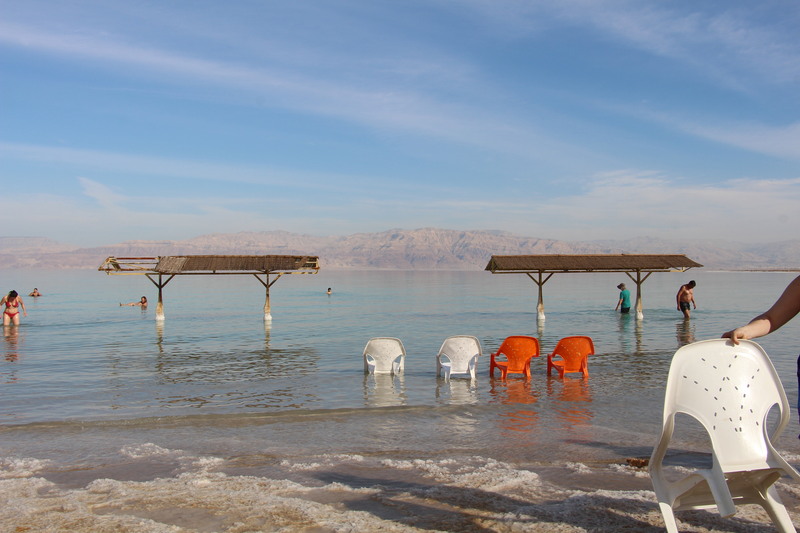 Five fun facts about the Dead Sea – it’s shrinking each year. What you see as sand now used to be covered by the Dead Sea. 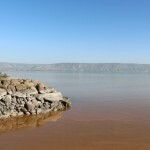 While at one of the visiting points of the Dead Sea, we were told that the Dead Sea had shrank more than a kilometre. 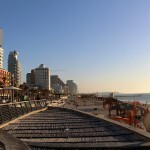 That is why we had to take the tram from the entrance, all the way right to the edge of the sea. 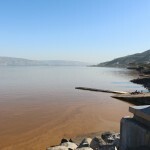 The reason was because in the past, the Sea of Galilee used to feed into the Dead Sea, but because of it had been diverted to supply water to some cities and towns, less of the flow came to the Dead Sea. We were told by our guide that has since been rectified. 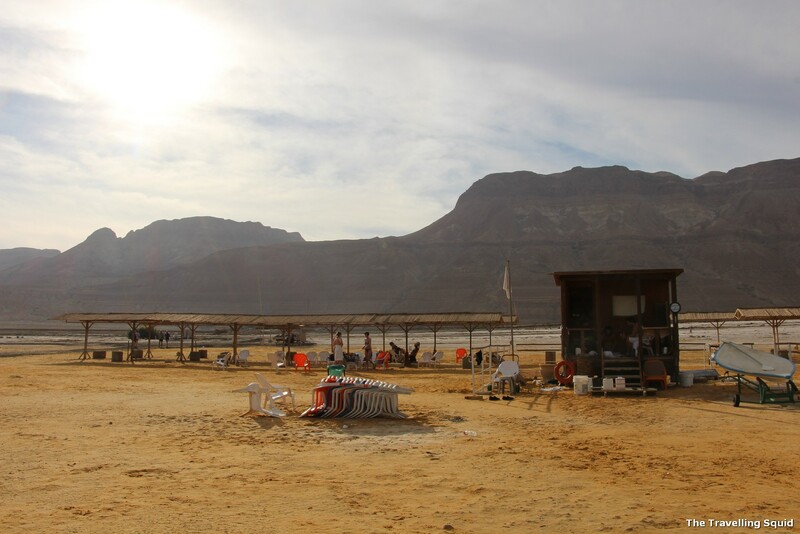 The only time we saw more Arabs in Israel was at the Dead Sea, I suppose because it is nearer to the West Bank. Some of them made those annoying wolf whistles, and I was reminded of the Egyptian youngsters which we had seen in Cairo. Because nothing can stop you from visiting the Dead Sea. I have been to many lakes in the world, felt the frozen cold waters of Lake Baikal in Russia, the pretty Phewal Lake in Pokhara Nepal which reflects the grand Himalayas, and the Dead Sea strikes me like no other. While travelling there, right to the edge of the sea was quite a chore as we had to wait for the tram, and sea bed was as rough as a thousand needles, the feeling of having a childhood dream come true was just out of this world. And my biggest takeaway was the photo I captured at fact Number 5, of a lady in a wheelchair, enjoying the still, salty waters of the Dead Sea.